Japan is going to provide $110 billion for infrastructure projects in Asia. The move is seen as an attempt to keep up with China that boosted its dominance in the region by establishing the Asian Infrastructure and Investment Bank. "We intend to actively make use of such funds in order to spread high-quality and innovative infrastructure throughout Asia, taking a long-term view," said Prime Minister Shinzo Abe at a symposium of Asian officials and experts on Thursday. Abe emphasized Japan's focus on quality, saying it plans to provide advanced technology, such as coal power plant knowhow, high-speed rail systems and e-vehicles. Around half of the funds will be provided by state affiliated agencies in aid and loans, the rest will be issued in partnership with the Japan-led Asian Development Bank (ADB). The government also hopes the aid will attract private funds to meet the demand for infrastructure in the region. 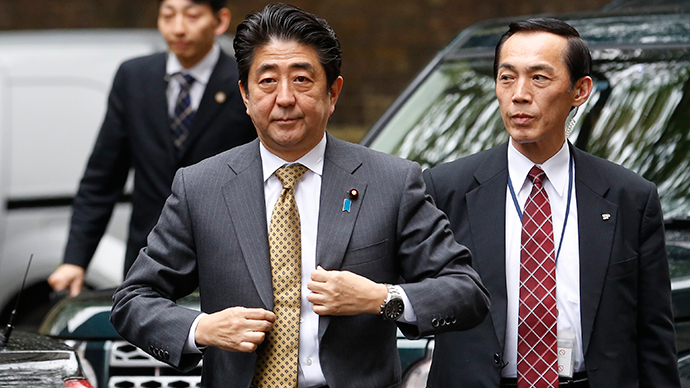 The plan announced by Abe is expected to increase Tokyo's infrastructure funding by 30 percent. The total funds Japan plans to invest in roads, railways, ports and other projects over the next five years is expected to exceed the $100 billion capitalization of the China-led Asian Infrastructure Investment Bank (AIIB). Japan and the US both held back from entering AIIB along with the other 57 founding members, raising concerns over its potential rivalry with US-led World Bank and the ADB. Japan’s plan on providing funds for infrastructure has long been a part of the G20 plan to meet global needs, according to financial officials who, at the same time, worry that Japan may be less pro-active than China in supporting the region. The finance officials of both countries are expected to hold a meeting in Beijing on June 6. Although Tokyo doesn’t have plans to join the AIIB any time soon, the question of potential partnership may be touched upon during the meeting. Both Japan and the US agreed last month that the World Bank and ADB should not rival but team with the AIIB in syndicated loans in order to help the new lender establish strong and transparent standards.